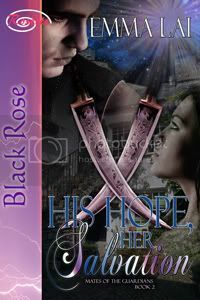 Blurb: Take one heroine and hero gripped in relationship limbo. Stir in a possible media scandal. Sprinkle lightly with a three-year-old child. Add one potential mother-in-law, a former boyfriend, a celebrity reporter hot for a story break and a Hollywood starlet. Knead above ingredients. Cover and let rise in a warm place. Bake for 31 chapters. 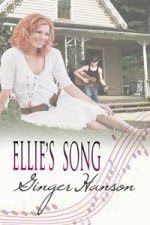 Yield: Ellie’s Song, the story of shy folk artist Ellie Kellson who loves country singer Lane Walker, but abhors the media attention he needs to be a successful singing artist. Review: I wish I could give this story a higher rating. The plot had great possibilities, but Ms. Hanson just did not keep my attention. The opener is a tear-jerker with unwed mother, Ellie, seeing her baby's father's wedding announcement to another woman. Lane shows up and does not know about his daughter. At this point, I really expected a great story. This story could have been great, it had all the characters, all the relationships, all the necessary elements, but it just didn't do anything for me. The characters and their personalities were pretty well developed, but they just didn't leap off the page and come alive for me. The other man, Joshua, is a nice guy, but I found him to be wimpy. Ellie's mom was caring, but intrusive. Her younger sister is a star-struck teenager, sweet and nice, but just not "alive" for me. I guess that is what I could say about all the characters; they were nice, but just bland like mashed potatoes are nice but baked potatoes are better. The three year old daughter is cute, but I had problems with her dialogue. I have a three year old granddaughter, and the difference in their vocabulary was striking. The section about the little girl being lost was terrifying for a mother to read. It makes us realize just how fast a little one can get out of sight and be lost. I enjoyed the descriptions of food and the aromas, especially the cinnamon used in her bread. In fact, cinnamon was mentioned many times. That and the cardamon, hmmmm , were enough to almost make me drool. The references to food like chocolate pie, fried chicken, green beans sautéed with Roma tomatoes made me go to the fridge several times. It is a good story, but, for me, it could have been great with more work. 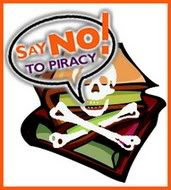 I would suggest you read it and decide for yourself. This story might really appeal to you. We all know that what one reader likes, another will not care for. Give it a chance, you might really like it.